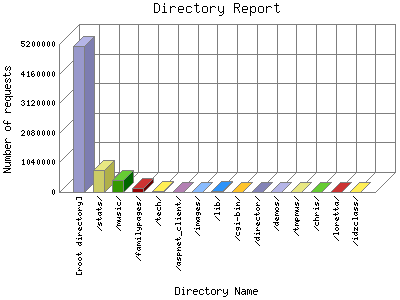 The Directory Report analyzes accesses to this web site's directories. This information can be useful in determining the most requested areas. This report shows all results. This report is sorted by number of requests.